I’d love for you to join me–thinking about your past, considering how God might have been at work in events, people, relationships, and times in your life–maybe we could even post some here to share. 2. 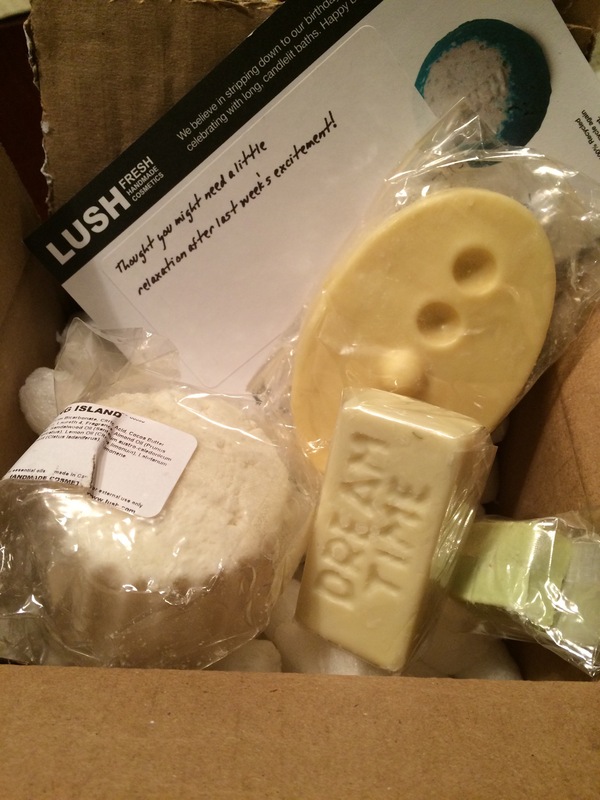 A super sweet surprise box of bath-time fun when I arrived home, a week out from the accident (I’m fine; the car is not so much). 3. 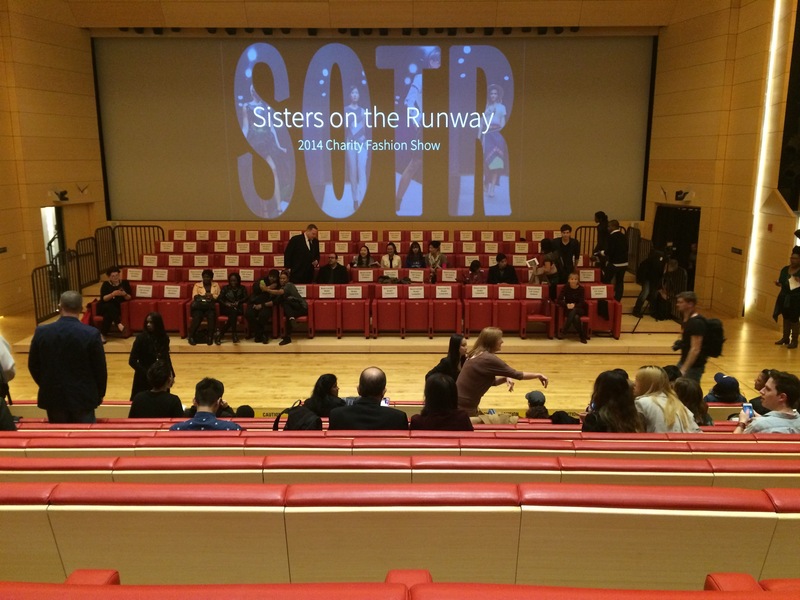 Sisters on the Runway–last week in NYC, my super fashionable brother took me to my first ever fashion show! It was icing-on-top that SOTR is a charitable group that both helps young designers (students at Parsons) get their work out in the world, and supports good work in the world, last week, we raised money for domestic violence awareness. 4. 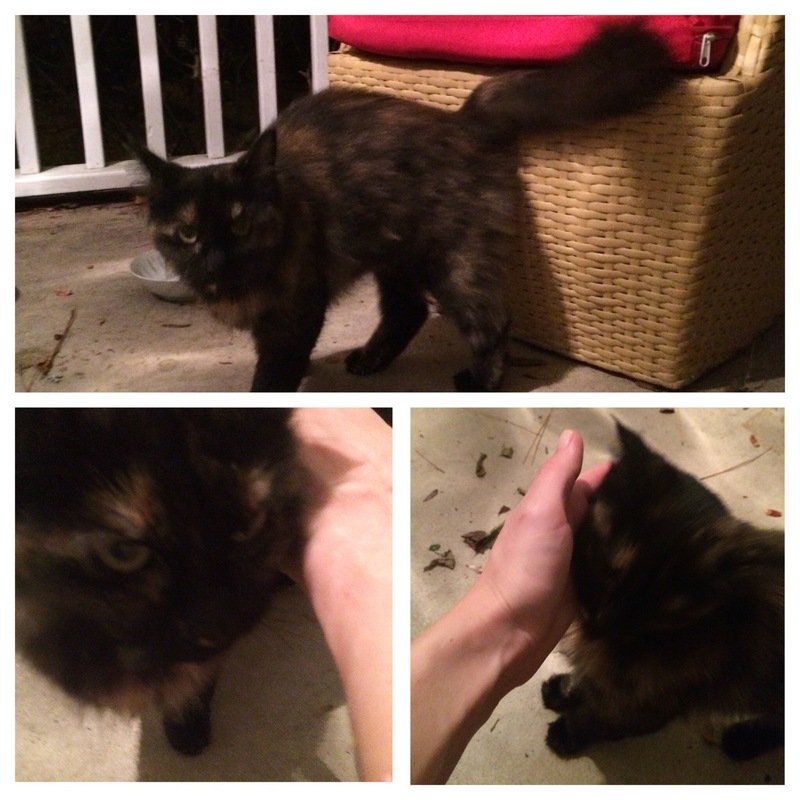 This past week hosted National Cat Day, or some such; I celebrated with our used-to-be scaredy-cat, Lion, who has come to be super sweet and affectionate in the last year (since she and her litter-sister, Frances, found us last October). Good pictures are hard to find! What’s making you smile this weekend? 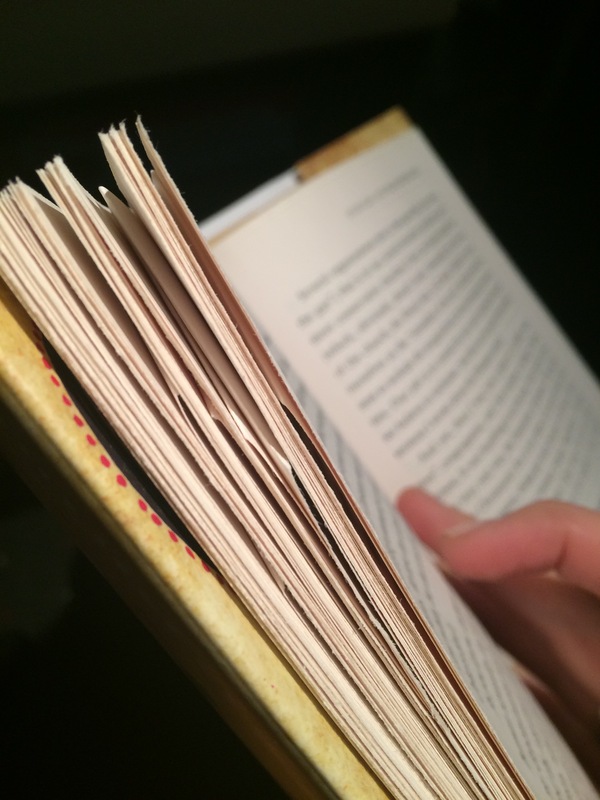 This entry was posted in happiness lists and tagged happiness list, Lush, Nadia Bolz-Weber, NaNoWriMo by Emily. Bookmark the permalink.